Bluegrass Pundit: Nigerian Islamist group Boko Haram to release kidnapped schoolgirls? 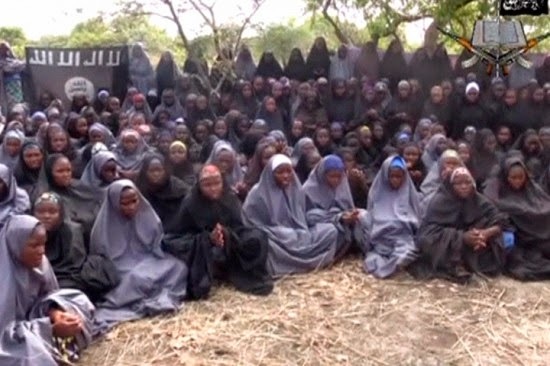 Nigerian Islamist group Boko Haram to release kidnapped schoolgirls? This is good news if true. Hopefully, someone bombs the crap out of the terrorists after the girls are safely home. Under massive global pressure, the militant Nigerian Islamist group Boko Haram has agreed to release more than 200 schoolgirls they kidnapped earlier this year, military officials announced Friday. Nigerian officials announced that the insurgents agreed to a truce with government forces and will free the students after holding them in a remote forest since their abduction six months ago, according to reports. Government spokesman Mike Omeri said Boko Haram would not be ceded any territory under the agreement but refused to reveal what concessions were made to secure the release of the girls. “We are inching closer to release of all groups in captivity, including the Chibok girls,” Omeri told the BBC.